Chancellor Philip Hammond visited Eminox’s Gainsborough headquarters, to learn about the company’s vehicle emissions reduction technology. His visit yesterday (30 October) came the day after delivering the autumn budget, which promised £20 million in additional funding for air quality measures, but was criticised for freezing fuel duty and a lack of clarity on red diesel (see airqualitynews.com story). Lincolnshire-based Eminox designs and manufactures exhaust and emission-control systems for heavy-duty vehicles and equipment. 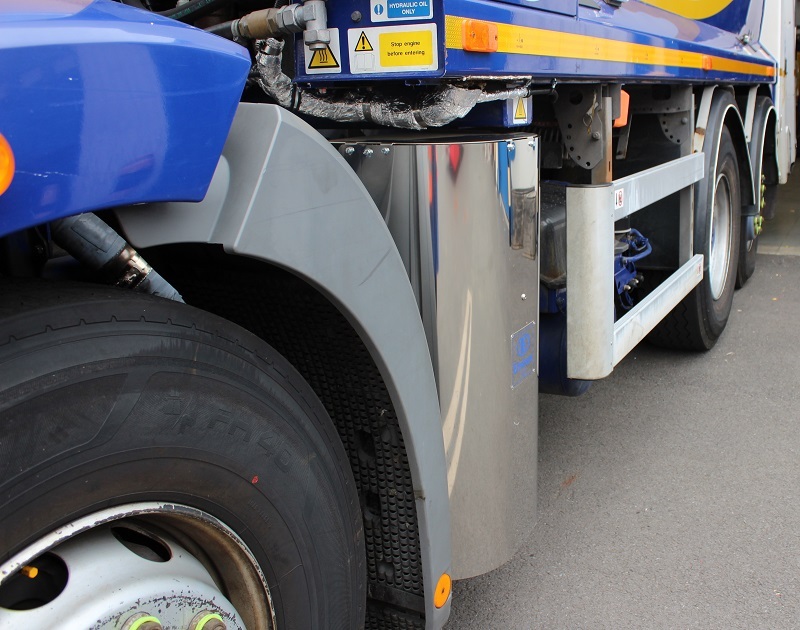 According to the company, its SCRT emissions reduction technology enables operators to upgrade older vehicles to comply with air quality targets. While on-site the Chancellor toured Eminox’s manufacturing facility, which has recently received a multi-million pound upgrade, and the company’s Retrofit Development Centre, which is working with industry partners to help prepare bus and coach operators for the forthcoming London ULEZ and other Clean Air Zones. 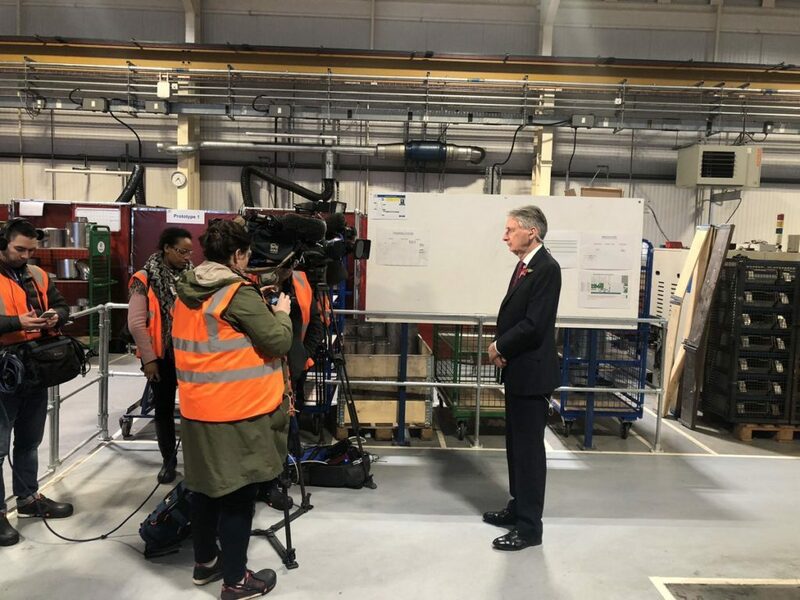 The Chancellor also had the chance to inspect Eminox’s large scale investment in manufacturing, including new Trumpf fibre optic flatbed and tube lasers, used for creating parts for complex exhaust systems. They operate at twice the speed of previous machines, save 60-65% in terms of energy and increase productivity through unattended running and faster, more accurate cutting. Carlos Vicente, Retrofit Sales Director for Eminox, said: “Coming so soon after the Budget, we were delighted to welcome the Chancellor to Eminox. His visit re-affirms the significance of reducing emissions to public health – and highlights how the transport industry can use the latest technology to improve air quality and meet stringent pollution targets. Yesterday the company announced that it has been approved under the Clean Vehicle Retrofit Accreditation Scheme (CVRAS) for the Volvo B9R – which it described as the UK’s best selling coach. The accreditation means that it will be able to fit its retrofit technologies to older coaches to allow them to meet the standards required for the Ultra Low Emission Zone in London, which comes into force in April. The company is also working on retrofitting 92 refuse collection vehicles on behalf of Westminster city council and waste contractor Veolia – thought to be the first project of its kind in the waste sector.